Ahead of the special Central Bureau of Investigation (CBI) court's verdict on fodder scam case, Rashtriya Janata Dal (RJD) leader Tejashwi Yadav on 23 December expressed confidence that his father and former Bihar chief minister Lalu Prasad, an accused in the case, will come out clean. 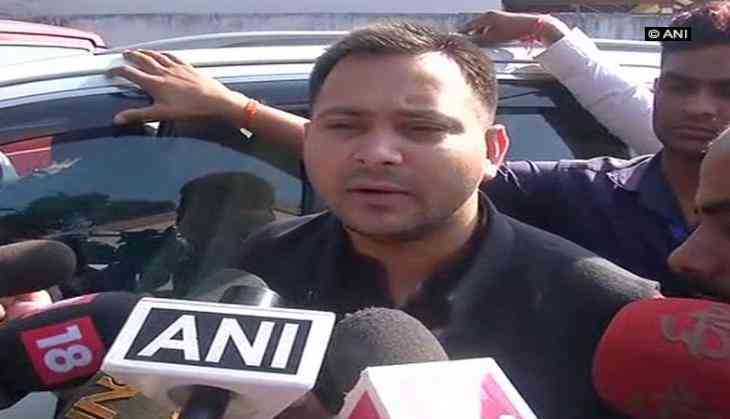 Interacting with the media, Tejashwi said the entire matter was a part of the Bharatiya Janata Party's (BJP) propaganda to pull the Rashtriya Janata Dal (RJD) down. Tejashwi accused the BJP of practising vendetta politics and indulging in destroying the entire system. A special CBI court in Ranchi will pronounce its verdict today in the fodder scam case. The RJD supremo, Prasad on Friday expressed hope that he would get a clean chit in the fodder scam case like other accused in the 2G and Adarsh scams.